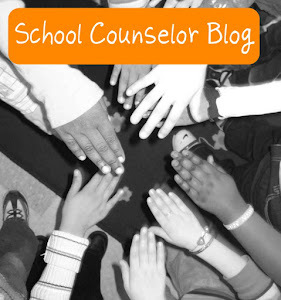 Today is day four of the School Counselor Blog Back to School Contest. Today's giveaway for the School Counselor Blog Back to School Contest is Girls in Real Life Situations: Group Counseling for Enhancing Social and Emotional Development: Grades K-5 (Book and CD) by Julia V. Taylor and Shannon Trice-Black from Research Press. Girls in Real Life Situations: Group Counseling for Enhancing Social and Emotional Development: Grades K-5 (Book and CD) is great for students in kindergarten through fifth grade. The activities from G.I.R.L.S. are great for groups on topics such as self-esteem, grief and loss, children of incarcerated parents and beyond. Some activities from G.I.R.L.S. would work with boys too (gasp!). One activity my fifth grade students love from G.I.R.L.S. K-5 is the role play activities. There is an activity where students act out different forms of relational aggression. The students love getting up and acting with partners or using puppets. They also come up with positive solutions for the situation. I work with students in fifth through eighth grade and I have both the G.I.R.L.S. K-5 and the G.I.R.L.S. 6-12 curricula. The G.I.R.L.S. K-5 curriculum conveniently comes with a CD with all the handouts you need to print, including pre and post tests! It is great to be able to print from the CD instead of having to photocopy pages (we all know that photocopies don't always come out like you want them to). Having met Julia V. Taylor in person and presented with her at the ASCA National Conference in Seattle, WA, this curriculum is even more special to me. Julia is an amazing person full of energy and creative ideas; the G.I.R.L.S. K-5 curriculum is a testament to her level of enthusiasm for school counseling! Girls in Real Life Situations: Group Counseling for Enhancing Social and Emotional Development: Grades K-5 (Book and CD) would make a great addition to any elementary school counselor's curricula. One lucky winner (U.S. only) will be chosen at random to win the Girls in Real Life Situations: Group Counseling for Enhancing Social and Emotional Development: Grades K-5 (Book and CD) by Julia V. Taylor and Shannon Trice-Black. The contest for this giveaway will be closed at midnight and a winner will be announced on this item's contest page on September 5th. Add a relevant comment to this contest page about how you would use Girls in Real Life Situations: Group Counseling for Enhancing Social and Emotional Development: Grades K-5 (Book and CD) in your work with students. The comment must appear on this item's contest page (this page). Share on Facebook, Twitter, Google+, or your Blog, about the contest or a specific item's contest page. Make sure to provide links back to the contest page or a specific item's contest page. For each place you visit and do this, come back to this item's contest page and leave a comment explaining where you shared information about the contest! Thank you to everyone who participated in the contest and shared great ideas of how you would use G.I.R.L.S. K-5 in your work with students! I'm an elementary school counselor and work with so many students (girls and boys!) who need a lot of extra support and care. It would be great to use the G.I.R.L.S. curriculum for lesson ideas and resources! I would love to win this book! I was just telling my principal about this book on Friday and how I want to use it with my 3rd grade girl small group! I would love, love, love to use this for small groups at my school. I am new to a high-poverty school this year (with next to no resources left from the previous counselor) and I am finding the need for a major intervention in the self-esteem department. I think this would help do the trick!! This book would be great to have to help girls work through their many friendship issues that pop up during the year. The fourth and fifth graders seem to have such a hard time getting along and tend to form cliques instead of accepting everyone. I would love to use this curriculum to help with those situations! I would use this book both in girls groups formed in reaction to problems that are already there, and also possibly adapt the lessons to use with the whole class as prevention! Yes, it would make my day to win this. I've only heard rave reviews about G.I.R.L.S. How it is an effective tool to use with this age of girls. And how the girls respond to it. I'd use it in small gorups to help facilitate positive emotional expression and wellness. I've wanted this book for a long time, as my colleague has it and raves about it!! I have even copied pages in the book from her so that I could use it for a group that I ran with 4th grade girls struggling with low self-esteem. The girls LOVED it, and I would love to have the ENTIRE book so that I could use it for more groups with my female students. Like someone said in another comment, my district doesn't provide us with a lot of resources, so winning this would really help my pocket out! There are so many students in my school who would benefit from the activities in this book. I love having new ideas for activities that I could use with some of my small groups. I just started working in a high needs elementary school. I am really looking forward to starting some small groups with my students. I would use this book in developing small groups for girls that focus on self-esteem. I'm doing my internship at a K-2 school this fall and starting to build my collection of counseling tools. A large portion of the school counseling program I will be working with focuses on groups. I anticipate starting groups in the next two weeks and it would be awesome to bring something new to the program. I'm especially excited about the amount of space available in the school counseling office---increases the possibilities of what can be done in group sessions! After attending the workshop you did with Julia- I want anything she created. I already bought her picture book- LOVE IT! I also now find myself judging Media like never before (her workshop on body imagine was awesome!) I would love anything that would enhance my work with girls! I am always looking for new resources for groups! I can see so many uses for the G.I.R.L.S curriculum...from frienship issues to helping girls with the feelings associated with having an incarcerated parent. A counselor I observed last year used this curriculum for her 5th grade girls group. After I watched her use it, I created a mock evaluation project using the pre- and post-tests and measuring self-esteem and perception data. I would love to use the real thing in my work with students this year and make my mock evaluation project REAL! 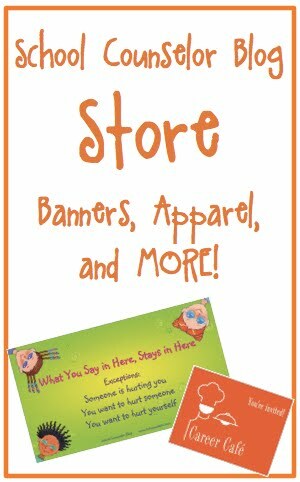 This would be the perfect resource to use with my K-5 girls, to prepare them for middle school. It already comes highly recommended from a colleague. Thank you so much for the opportunity! This is a great resource to use in groups, the classroom or even with individuals. I have been eyeing it for a while. Thanks for all that you do to share resources and ideas, I am literally stalking your site now for new ideas! I would be so excited to win this book! My school is utilizing School Counseling as an intervention for our struggling students this year, and I'm excited (but also nervous) to see how it turns out. This would be a great resource for me to use with my small groups of students who need that extra boost! I would use this as a resource to support our student leaders in grades 2-5 during small group sessions. My goal would be to teach them relationship skills that they would then model for others. Our budgets were cut this year, so new resources are tough to come by! Winning would be a great help! Thanks for all that you do to help and empower your fellow counselors! My school nurse, principal, and I are going to be starting an after school group for 3rd and 4th grade girls to help empower them. Topics we are going to focus on are self-esteem, what it means to be a friend, and body issues. I actually told my principal that we should take ideas from this book, but I haven't been able to order it yet. I think this would be a great resource for our girls group! I am a new K-6 school counselor with very little resources. I would love to use this book for my girls small group. I want to empower them to be the best that they can be, no matter what their situation may be. I think this would be a great resource to do just that! 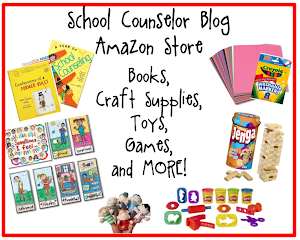 This is my first year as a school counselor and I would love to use this curriculum! I will be working with 4th and 5th graders this year and this would be a great resource to use with a group of girls already we have already identified as in need of a group focusing on self-esteem and relational aggression issues! I would love to use this curriculum, as I am starting a third grade girls' group. This would definitely provide me with more structure for my sessions. I used this curriculum at my last internship. Now that I am in my own setting, I would be overjoyed to do a group for my 4th and 5th grader girls! I would love to have this as a tool in my toolbox when working with my Elementary school girls this school year. This would be perfect as a foundation for my after school girl's group. 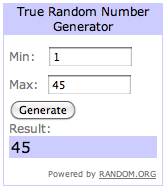 Once again thanks for a great giveaway and an awesome blog! Just tweeted and shared it on facebook. I've been a fan of Julia Taylor's for years, and I think her work is fabulous. I've never owned my own copy of this, though (I keep borrowing it from colleagues) and would love to have it. I plan on using it for my after school girls group, as well as for a girls group summer enrichment program. I'm also thinking it would be great for Girl Scouts. I am a first year school counselor looking for great ideas to implement in our school! This book and curriculum would be an excellent tool to add to my tool box! 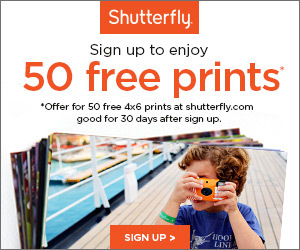 This site has been so helpful in making the beginning of my first year a great success already! Thanks a million! I am always in need of good curriculum in working with girls in small groups. I would love to add this resource to my bag of tricks to help prevent girl drama before it happens. I work in a K-6 inner city school. My students long to form relationships with people. I would love have this resource to help assist me in teaching them how to form healthy relationships with one another. Working with adolescent girls is one of my many goals and aspirations once I graduate this spring... This prize would be an excellent resource for group work and one-on-one counseling! First year as an elementary school counselor in a very needy school. I would really like to use this book with a group to help the girls with social and frienship skills. I would love to use this to help girls find a little respect for themselves! It truly breaks my heart to see young girls who can't see the beauty they possess just by being true to themselves. I hope I win!! I used to use this book at my old school as a School Counselor, but my position was eliminated and I couldn't take it with me when I left. :( I would love to have it again! It was such a great resource for me to use with my groups on Relational Aggression! One of my supervisors had this book available for me to use in one of my internships and I LOVED it! I am the only counselor in a brand new charter school this year and I am in need of all the books and materials I can get! I work with all the students in grades K-12, so I have lots of ideas about how to implement this book and the lessons provided in it!! I can't wait to get started!! I am an elementary counselor in a K-5 school. I would love the opportunity to do more groups as a part of my comprehensive guidance program. I would use this resource to present to my principal and defend my position as to why I feel groups are important and show her a resource I would use. Thanks for considering my entry! I heard good things about this resource and would use it for helping me plan a new group for girls. I've counseled girls who have low-self esteem, friendship struggles, and know what to say in my office but it doesn't always translate at recess, in the hallways, or classroom. The ideas in the book will be a helpful resource. I don't really have much of a budget so it would be great to add this as a resource to use for my small groups. I am starting 3 different girls groups this next week in grades 3, 4, and 5. This book would be perfect! Hello! This year I will be both a school counseling intern and a therapist intern. I have never used the G.I.R.L.S. K-5 book, but I can tell that it will be a great resource for working with children and adolescents in both school and agency settings! I would be excited to add this to my small, but growing pile of school counseling resources. P.S. I loved your "School Counselor Survival Kit" idea so much that I created my own survival kit for my internship year! It is a humble start, but as I gain more experience and ideas, I know that it will evolve into a great kit. I had so much fun putting it together! Thank you for the fantastic ideas.